When I was deciding which of the fast electric scooter for adults to review next, this The Chrome Turbo Electric Scooter by Elite Turbo Scooters really stood out. It was out of stock for a while because it's so popular but it looks like the fastest scooter on the market has had another makeover. The real thing looks even better than my pictures. It's a very powerful machine and claimed to be the fastest and most powerful motor in any adult electric scooter on the market. In fact, it comes with 3 lead acid batteries of 14 Amps each, making it one of the most powerful scooters out there. With various riders claiming that this electric scooter can travel up to and over 25 mph, that makes it the fastest electric scooter on the road right now. However, you do need to check your local traffic laws because many states have restrictions on the speed of electric scooters in public places. The company claims that this is one of the fastest adult electric scooters in the USA and the only one that has been fully upgraded with all chrome parts. They also claim that this model has the most powerful motor on the market which is likely to be true because the batteries deliver a cool 36 Amps of solid current to the motor. 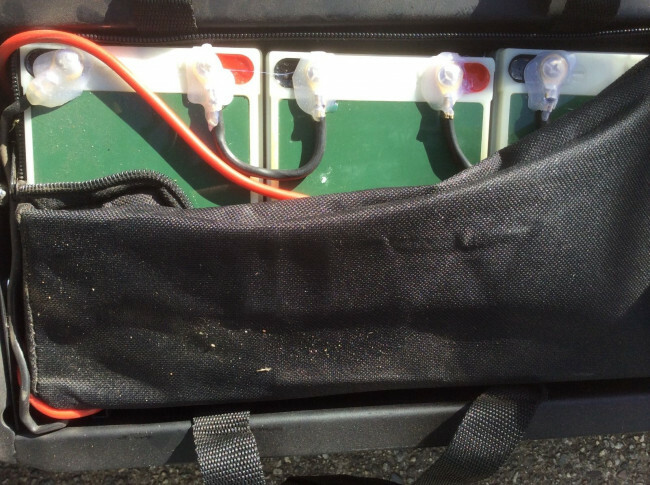 The battery pack can last over six hundred charges, great for this type of battery system. Lead acid batteries are similar in type to a car battery and if you charge this scooter once per night that will give you 2 years of charging before the batteries will need to be replaced. Out of the box, the tires come fully inflated and the battery has about a 70% charge. Only the handlebars need assembling so it's easy to get it on the road without a fuss. This is a great scooter for getting a few miles to work, taking on a camping trip or just using around the neighborhood to run errands. We also have to mention that this is a tall scooter with a long wheelbase. This means that it's good for taller people which is unusual, and it's pretty stable even at speed. I would not recommend riding one-handed though, as it's a little tricky to do hand signals when turning. 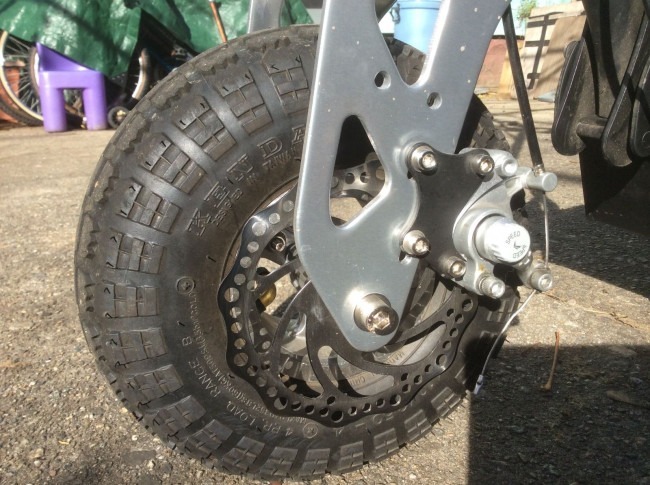 As with all 2 wheeled machines, you have to be careful when turning in a tight circle as they are easy to tip over when turning in too small a circle. When folded up for carrying the machine weighs in at around 90 lbs which means it's a little on the heavy side, but you shouldn't be carrying this around too much. The most lifting I would do with this is to pack it into the trunk of the car. It's worth bearing in mind that both the speed and range of the electric scooter will depend on your own weight, so everyone will get different results in this regard. the full specifications are below. Should I Buy The Chrome Turbo Adult Electric Scooter? 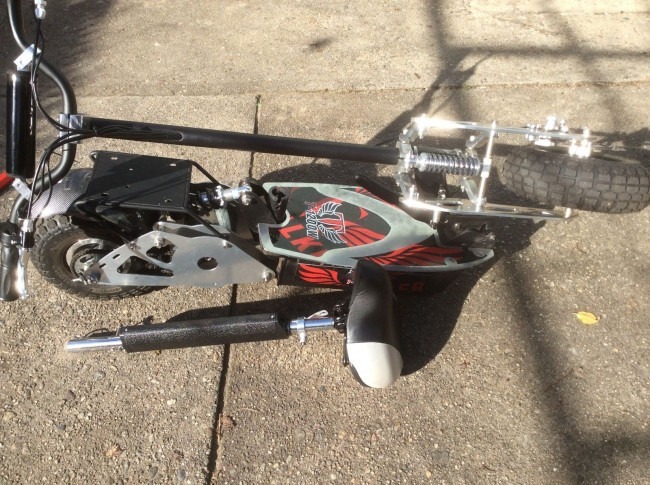 Since the Chrome Turbo Electric Scooter by Elite Turbo Scooters is built to handle any kind of terrain, even the roughest of uneven surfaces you will get pretty good power and speed in all kinds of conditions. 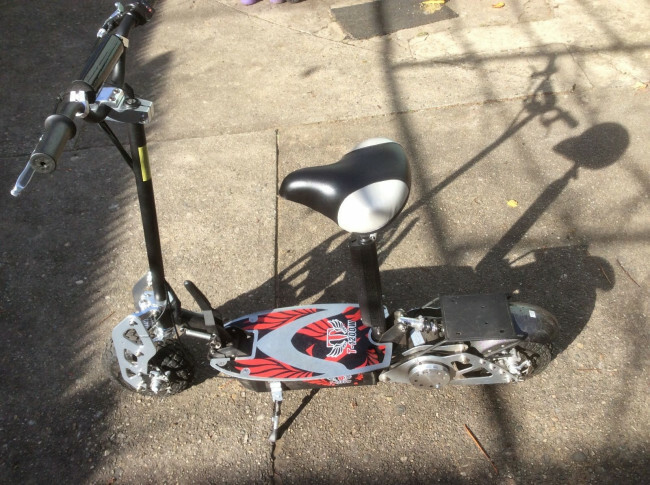 In fact as they say themselves, this is a beast of a machine and absolutely not a toy and you need to treat it that way so although they might really want to, it's probably not too wise to let kids ride the Chrome Turbo Adult Electric Scooter. Safety first! and that includes adults who should always wear a helmet when riding this scooter. If you think electric scooters can't go fast then think again as this Adult Electric Scooter will change your mind. A top speed of around 30mph is no joke, especially when you consider that this could be a reasonable replacement for a car if you have a short commute to work. Out of the box, only the handlebars need to be assembled, so you can get on the road quickly. There will be enough charge in the batteries to do a few miles so you can test it out right away. So, for ease of assembly and road-readiness this machine gets my vote. There are also some very useful how-to videos on Youtube that will teach you how to deal with every part of the machine. There have been some reports that whole key compartment has come out with the key in the off position. If this should happen to you contact customer support to solve this issue. All the plastic parts on the previous model have been upgraded to chrome and steel and while this make the scooter much heavier it is much stronger and better for the speed it can travel at. The range is around 16 miles but a lot depends on the rider's weight, speed they are driving, and terrain. The company does specify that always riding at full speed with a heavy rider will greatly reduce the range per charge. They do claim that at 36 Volts and 35 Amps of power out to the motor that this is the fastest 36 Volt motor every made and that is likely to be true. Motor: Turbo 1200watts at 3200 rpms. Motor Size: 6.75" x 4.25". The Chrome Turbo Electric Scooter by Elite Turbo Scooters is fast, tough and reliable. We thoroughly recommend it if you need an adult electric scooter that is a proper mode of transport rather than a toy. If you are not ready for a full-on motorbike then this might be a good compromise. Although the machine is very fast, you will be able to handle it easily if you are careful and practice a bit. So what are you waiting for? If you love speed and pure powere, this fast electric scooter will satisfy your craving for electric-powered travel. Be aware that this electric scooter is much more powerful than any of the Razor electric scooters, It is definitely NOT A TOY and shouldbe treated with respect. Always wear a helment, gloves and appropriate safety gear when riding! In addition, the scooter features high quality materials and reliable customer support, which is something to bear in mind. This one of the best electric scooter for adults. I hope you enjoyed this review of on of the fast electric scooter for adults, please go ahead and leave a comment below! Had to give the Chrome Turbo Elite a 5 star rating because of it's raw power!